My name is Malia and this is the beginning of my story. I was born in San Jose, Costa Rica on June 17, 2008. I was born with an extremely rare brain formation disorder called lissencephaly. Lissencephaly means smooth brain. It is a condition in which the outer layer of the brain, the cerebral cortex, is abnormally thick and lacks the normal convolutions. During the third and fourth months of my mom’s pregnancy, my brain cells should have multiplied and moved to the surface of the brain to form my cortex. Due to the failure of this nerve cell migration, I ended up with lissencephaly. 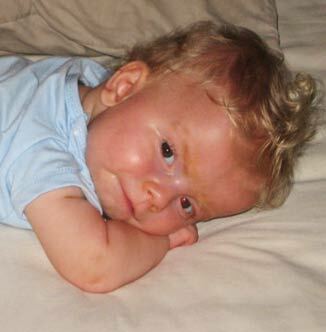 The type of lissencephaly I have is called Miller Dieker Syndrome. This means that I have a partial deletion of Chromosome 17. Lissencephaly has been a challenge for me but I refuse to accept the prognosis of this disease and prefer to take it one day at a time. Although I will be physically and mentally challenged, I am determined to defy the odds. I want my story to bring awareness about lissencephaly and hope to all children who struggle with disabilities and diseases. I hope that making people aware of my story will help others open their eyes–and their hearts–to children with disabilities.